This reminds me of a saying that goes like this in the blogosphere: "Write for human and not search engine". 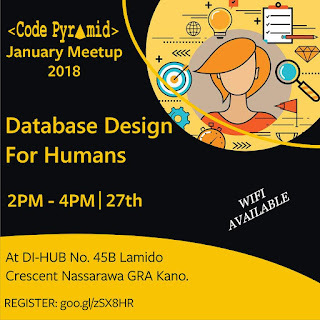 This goes the same for software development, have you been having issues designing a highly secure and scalable database for your app, then this meetup is a must-attend for you. 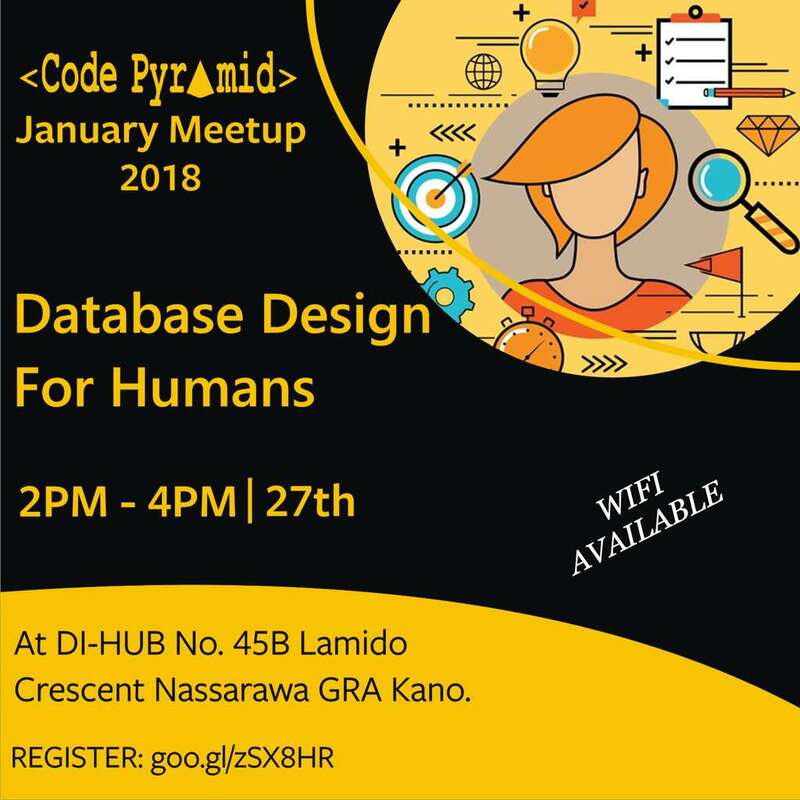 The first meet-up of code pyramid in the year 2018 is focused on demystifying the difficulties in designing database for the human. You will agree with me that, remote work is on the rise and most of these remote workers rely on the power of Git in order to push their code to the master code base. 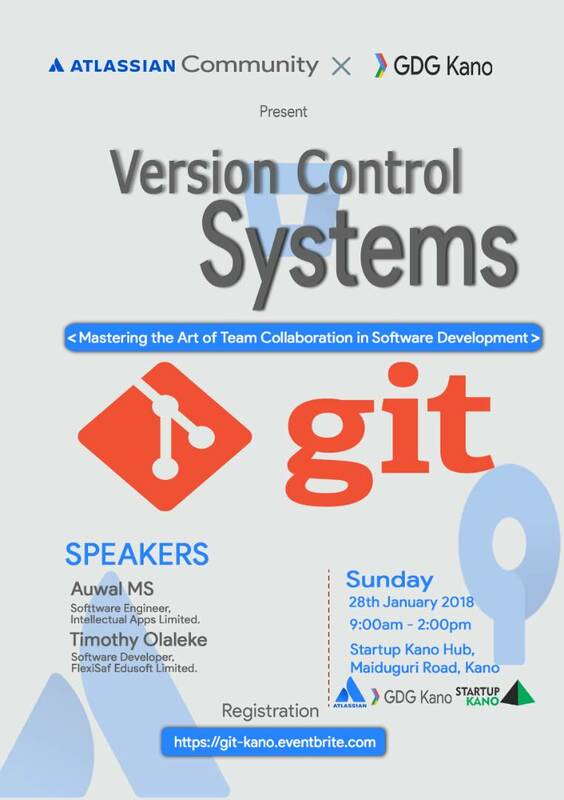 If you have a strong interest in working remotely, then this event is a must-attend for you, as you will be exposed to the power of git and everything you need to know about it. Products are built by teams in pieces and even across different locations, it's often a misery for upcoming Devs to know how these pieces are brought together with little to No issues at all. 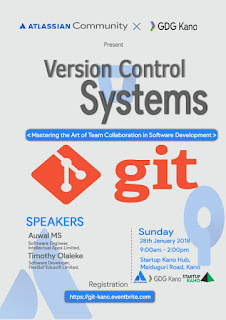 At this meetup, Our Speakers Auwal MS and Timothy Olaleke will walk us through how Version Control Systems and other tools are used by teams to collaborate while building products, We will also look at using Sourcetree, a powerful GUI tool that helps make it easy to use Git serving as an alternative to the CLI.